RUCST has added its support to a global awareness campaign and is encouraging fans to help make the internet a better place this Safer Internet Day. On Tuesday 5th February 2019, millions across the UK and globally will be celebrating Safer Internet Day and RUCST has pledged its support along with hundreds of schools and organisations across the UK. 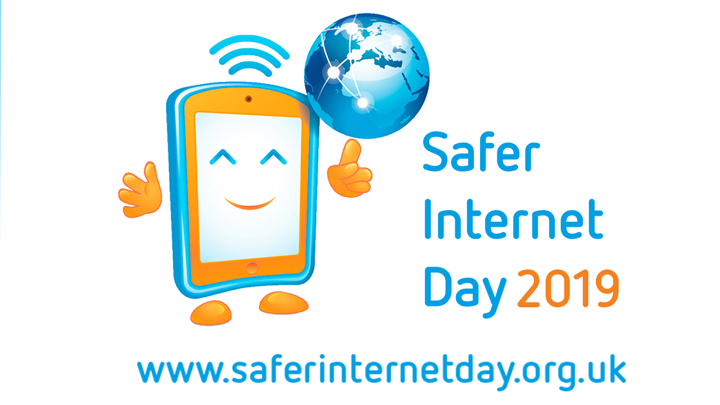 Coordinated in the UK by the UK Safer Internet Centre, the day is a great opportunity to talk to your family and friends about the responsible, respectful, critical and creative use of technology, and to remember that together we can create a better internet for all of us. This week we will be working with young people from across Rotherham to deliver awareness sessions to help them stay safe on the internet as part of our BBC Children in Need and PL Kicks programmes. Visit the UK Safer Internet Centre website (www.saferinternet.org.uk) where you can take the Safer Internet Day quiz, download activities to do together, and find out more about what you can do to help your friends and family to stay safe online. Promoting positive messages online, whether this is by backing a cause, helping a friend, reporting abuse or by showing support for your football club! Making the internet a better place this Safer Internet Day by taking positive action online. From liking your friend’s content to sharing kind messages, post online using #SaferInternetDay2019 and #OurInternetOurChoice. Encouraging everyone to think about the different ways in which they ask, give and receive consent online using the hashtag #OurInternetOurChoice. Safer Internet Day is organised in the UK by the UK Safer Internet Centre, which is a partnership of three charitable organisations, Childnet International, the Internet Watch Foundation, and the South West Grid for Learning.